Good morning and welcome to another 48 Hour Flash Sale! This sale is for 48 hours ONLY and will end on Sunday, September 3, 2017, at 7 AM PST. For the first time, My Creative Time is offering a brand new KIT! Frightful Greetings consists of a stamp set with a coordinating die, along with a coordinating stencil! Yes, a STENCIL! We are so excited to share this EXCLUSIVE kit with all of you! Now since it is exclusive, once the kits sell out, they are gone forever. For my project today, I made a treat sleeve using the existing Stitched Treat Sleeve Die and then used the stencil from the kit to ink up that pretty fall pumpkin and swirl pattern. I added a couple of pieces of patterned paper to the top and bottom, which I trimmed with one of the existing More Stitched Edges dies. 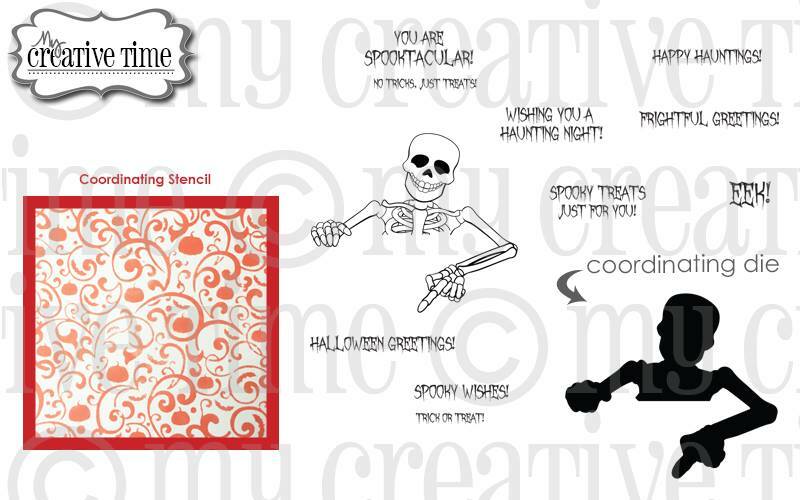 I made that cute little skeleton that is peeking out of the sleeve with a stamp and die from the kit! The sentiment is also from the kit, and I stamped it onto a die cut I made with the existing Small Treat Label Dies. This is such a fun kit, and we cannot wait to see all of the projects everybody makes with it! Don't forget to use the code FLASH at checkout to get 20% off your entire in-stock only purchase! OMG Miss Katie...You totally came up with lots of Wicked Awesome ways to use Miss Emma's goodies and so showcased today new set in a Spooktacular way!! WOWIE WOW!!! Awww.... how fun and cute, I love it! Wonderful job on your cute treat box! I love how the stenciling and torn edges adds to the spooky look. Great treat box. Love the stenciled orange and dots. Love your project! Awesome treat box with that spooky skeleton! Love the stenciled design too! Such a cute treat! Love the color/design combination. Katie ~ Alright! I ADORE this treat idea! OMG!!! LOVE how you used this treat die!! Such fun elements too! SPOOKATACULAR as always!!! Fabulous creation using this fun set! 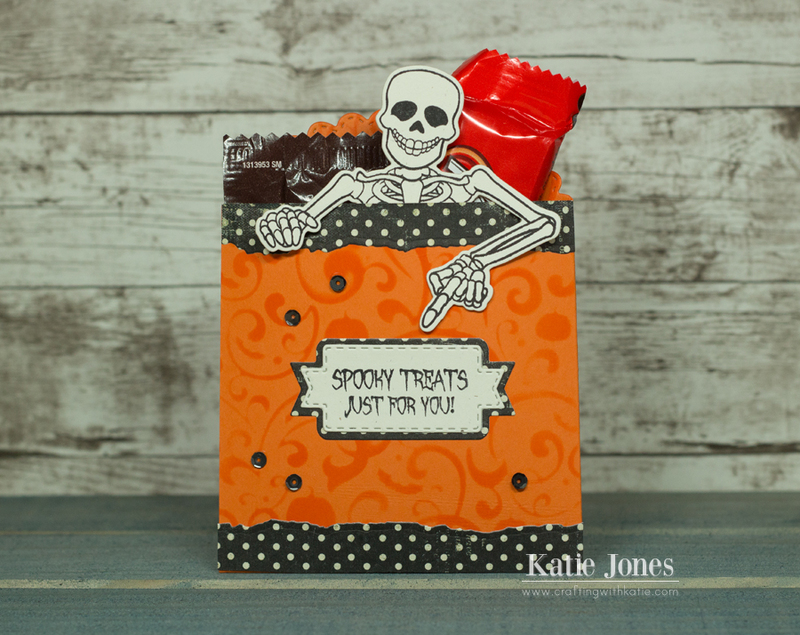 I love the stenciled background and the skeleton is just to fun! I love the look on his face?! Great job! You did an amazing job showcasing this fun set! I like how the skeleton points to the sentiment. Love the skeleton! Fun treat. 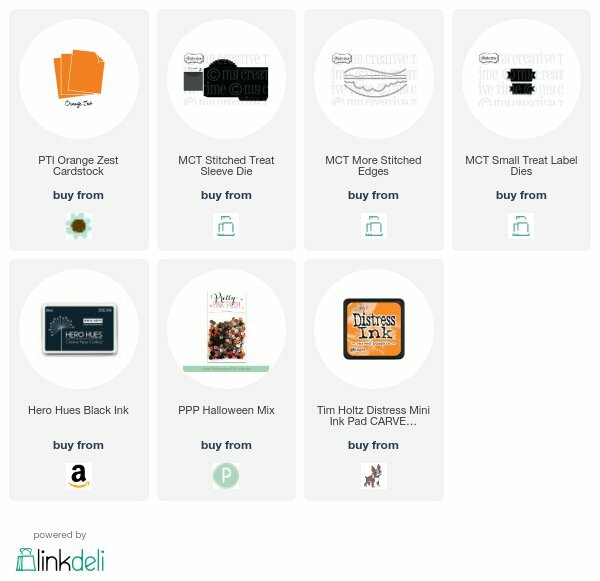 Love your treat box! The skeleton is a perfect little addition!